not a worth for a price. Slow may be due to dual sim. Should be in single sim with some more large screen. 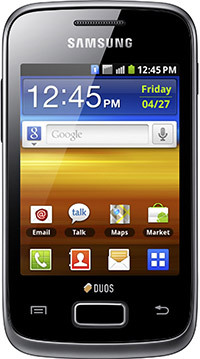 We have done our best to provide you the correct technical specifications for the Samsung Galaxy Y Duos. Please let us know if you find any errors.